At the beginning of the month, I would’ve said The Black Dagger Brotherhood series, but honestly, after struggling to finish Lover Enshrined, I think the shine has worn off. I’ve set aside Lover Avenged out of sheer irritation, and have no plans to go back to it. The pacing of Enshrined was torture for me–I nearly didn’t bother to finish, despite the fondness I’d developed for the characters–and a hundred pages into book seven, things aren’t any better. So I’m done. In and out of the Black Dagger Brotherhood fandom in one month! This means I don’t have an obsession right at the moment. 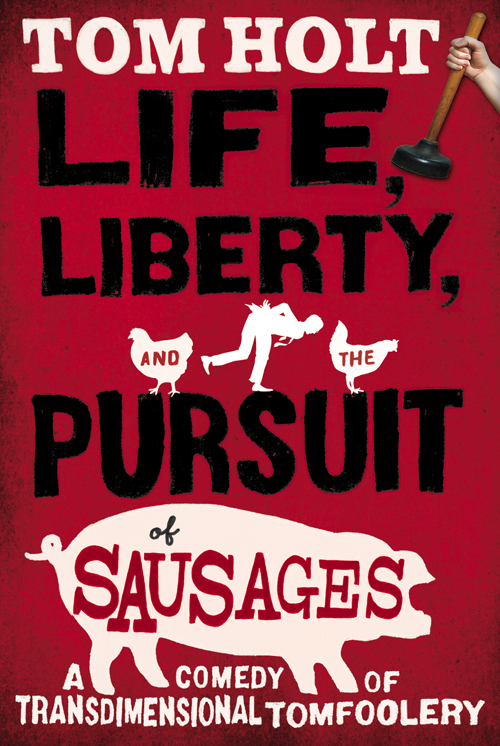 The first twenty-odd pages of Tom Holt’s upcoming Life, Liberty, and the Pursuit of Sausages has much potential for me, though, so who knows. Maybe this story of “transdimensional tomfoolery” will be my next obsession. This entry was posted in Reader's Life and tagged favorites, meme, paranormal romance, reading list. Bookmark the permalink. 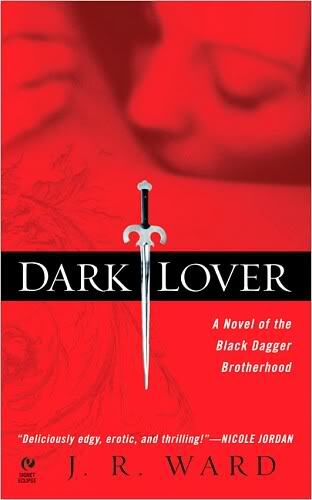 Wow, that worries me a bit…I have bought all the books to the black dagger brotherhood that are out right now and I’m planning on reading them. I’ve only heard great things about them so now to see you write this, I’m a bit nervous! My reading obsession right now is Jeaniene Frost’s “Night Huntress Series” and Charlaine Harris’ “Sookie Stackhouse Series”. I love the Sookie Stackhouse books. Sookie herself irritates me, but not enough to turn me off of the series. I first started them this summer, and proceeded to read all ten in about a week. Then I found the collection of short stories Harris had written for the Sookie world. I was wholly obsessed. I still am, now that I think about it. But now I get my fix through fanboards and fanfic, and I’ve finally gotten interested in True Blood. The BDB series is fun in a lot of ways, and I’ve no doubt that there’s a legion of fans out there who would call me crazy for not thinking that each book is better than the last, so take my discontent with a grain of salt. 😉 And, really, the first five books were great reads for me. Quick, entertaining. Characters I liked to read about. So go read them, and I’ll check in to see how you feel as the series progresses. I’m curious to see if others, besides my roommate, have similar feelings about the latter stories. I am going to give the BDB a chance, I’ll be writing reviews so you’ll see how I like it as I go…I think it’s always fun to get several peoples perspectives on books. I got stuck on book seven in the BDB series as well, and haven’t continued. It’s been a couple of years since I read the last one. I think the series peaked and headed downhill, honestly.